It was an easy question to answer when they were little, but life gets complicated for teen girls. When they get stuck in drama, discontentment, sadness, and shame, how can they even begin to look ahead to the future? In this 4-part series, author, Bible teacher, and Founder of IF:Gathering, Jennie Allen, inspires teen girls to throw off everything that holds them back and be energized by God's dreams for them. Connecting Scriptures from the New Testament with everyday life, Jennie talks about the big and small ways they can use their unique gifts, spend time with God, and have fun giving His love away. Each session features real-life stories of girls who have struggled to overcome obstacles and find meaning in their lives, but are beginning to see God's vision unfold. Dreaming big isn't about the perfect job or a glamorous life “some day.” Dreaming big starts now. When girls are secure in who Christ made them to be and believe in what God can do in and through them, they will grow in confidence, create community, and accomplish great things. Note to Leaders: If you are leading a group through this Bible study, watch this short training post to help you facilitate. Click here! Note to Parents: If you are going through this Bible study with your daughter, watch this short training post to help you lead. Click here! In the beginning, God created one human. And in God’s sin-free, beautiful world, something wasn’t right. That the human was alone. The creation of Eve isn’t just the story of marriage. It’s also the beginning of community. God exists in trinity and we were made in his image. We were created for community. And because our Father is generous, he’s given us one of the most essential and life-changing relationships for community: friendship. 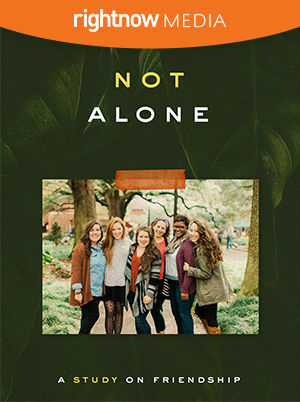 In this six-week study Not Alone, join Jennie Allen, Lauren Chandler, and Amena Brown as they talk all about friendship. Find out why we need friendship, discover biblical examples of friendship, and identify the pitfalls, challenges, and joys of friendship. They’ll dive into the tough topics of toxic relationships, boundaries, and how to rebuild broken trust. But most of all, the teachers, real-life stories, and study guides will help you celebrate the encouragement, wisdom, and love that only comes when you’re not alone. What does it look like to follow God and live out this faith in our relationships, at our jobs, in conflict, in suffering, and with money? This is a generation that is not just hungry for big faith, but for a big faith that is lived out in the practical, mundane things we do and the decisions that we make everyday. A faith that is marked by wisdom. 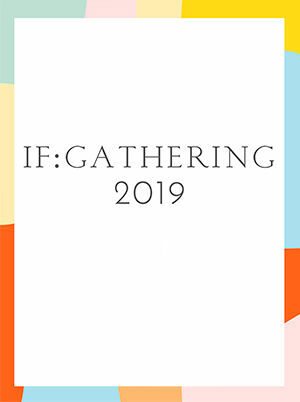 Featuring teachers like Jennie Allen, Jo Saxton, Bianca Oltoff, Annie F. Downs, Jada Edwards, Jefferson Bethke and more, IF:Gathering 2019 dives into the book of Proverbs for a look at a different way to live. This way to live--Jesus' way--is so attractive, so fragrant, that it flows through our lives, actions, relationships, and work, drawing people to Christ. Christianity calls us to sacrifice instead of living for oneself. We have to choose one or the other—we can't do both. 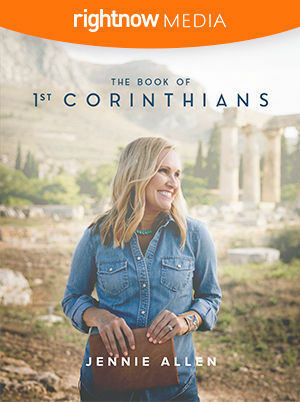 The Christians in Corinth tried to live the Christian life in a worldly way. Paul wrote the letter of 1 Corinthians to a divided and self-centered people to remind them to follow Jesus and only Jesus. In this 12-part series, author and speaker Jennie Allen walks into the messy lives of the Corinthians and takes us through Paul’s words to the conflicted church. We'll see how the truth of the gospel and the Spirit of God can empower us to choose to follow Jesus every day of our lives. You are a leader with an important calling: to make disciples. Maybe you know that clearly, or perhaps you are just starting to believe that. Join the women of IF:Lead to recapture the joy of making disciples in everyday circumstances. 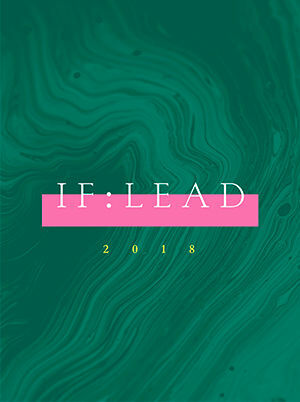 The IF:Lead is an annual gathering specifically created to pour into leaders who are creating environments for discipleship in their hometowns. For more information, check out the website here. In the beginning, God created light. When He made humanity, God infused the first man and woman with His own glory—so they would blaze with His light in the universe. But humanity’s sin snuffed out the flame. Through history, those who followed God flickered with His glory. Then God became human. In His perfect life and death, Jesus brought light back to our fallen race. 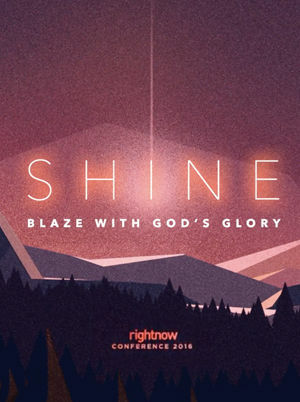 Explore how you can blaze with God’s glory—through the power of Jesus’ gospel and with the fire of the Holy Spirit. In this darkened world, we were made to shine. 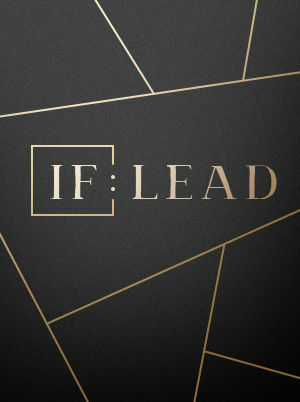 In the 2017 IF:Lead conference, dive into the book of 1 Timothy and discover what it looks like to be a brave and faithful leader in God's church. In a generation called to make a difference in the world, it's time to step up and lead.